Celebrated plantsman Roy Lancaster's birth on December 5, 1937 was the start of something big for plants and horticulture. His chance find of a Mexican tobacco plant in a local allotment brought him fame as a schoolboy and sowed the seeds of his future career. This book is the story of his adventures as he sees tropical plants for the first time in the jungles of Malaya, meets Roberto Burle Marx at his garden near Rio de Janeiro, and hunts for pitcher plants in North America. Well-known for his encyclopedic botanical knowledge and for introducing many popular garden plants, Roy is also a consummate storyteller and wise philosopher. His acute sense of life's comic moments, spirited sense of adventure, and respect for the natural world make this a remarkable read. 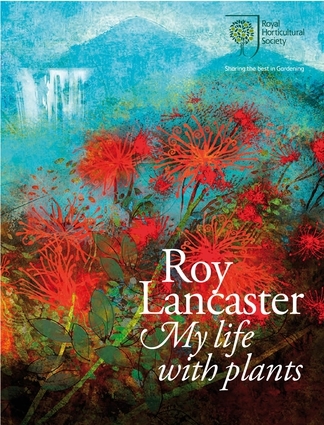 Roy Lancaster is a world-renowned plantsman and a Vice President of the Royal Horticultural Society. He was a popular presenter on Gardener's World and panelist for Radio 4's Gardener's Question Time. He supports plant conservation programs, speaks out for specialist nurseries, and inspires young horticulturists. He is the author of Perfect Plant, Perfect Place.